On a lovely fall afternoon I got a text that one of my best friends was in labor. Our group message exploded with excitement about the baby. We all couldn’t wait to see his picture, learn his name and meet him in person. We all know a baby changes your life, but until it happens you don’t really know. That shift in perspective cannot truly be appreciated until it happens to you. During pregnancy you are excited to meet your child, nervous about being a parent and probably even scared of what the future may hold. But once he or she arrives, the world is knocked out from under your feet and you simply float on this huge cloud of feelings. Watching someone you love become a parent is a reality check we all would be lucky to experience every once in a while. To witness that feeling wash over a friend helps me reconnect with my own kids. They are now a toddler and a kindergartner, but it’s easy to close my eyes and remember that knock-you-to-your-knees feeling. I’m elated to have a new baby in our lives, but I’m also thrilled to welcome my friend to the club. The initiation is pretty awesome. Me and sweet Mr. A. 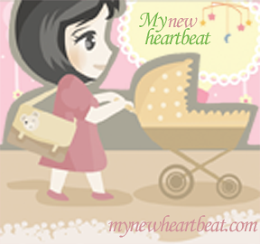 In the late stages of my third pregnancy, I am familiar with all the aches and pains. Most people see the weight gain as the biggest change during pregnancy, but I think the wildest changes are what happens on the inside during these nine long months. You know the scene in a monster movie where you see the man’s hands and feet start to stretch and his face sprouts hair everywhere and his shirt rips as his back arches to complete the werewolf transformation? Pregnancy is kind of like that. But in super slow motion. Your bones get loose. The hormone relaxin loosens all the joints in your body. Good news for your pubic bone during labor, bad news for joint pain the rest of your gestation period. Your organs get squished. Your baby is growing so your uterus takes up more and more space. I can see my other organs all elbowing each other for space, shouting “We were here first! Back off, man.” Unfortunately, your bladder will lose this fight. You have 50% more blood. Fifty percent. What does all this extra blood do? It causes nosebleeds, varicose veins, hemorrhoids and all sorts of fun stuff. Of course it also creates that famous “glow” so I guess it isn’t all bad. This doesn’t even cover postpartum body changes, which I won’t go into because I don’t want to bum out all my fellow expectant mothers. But rest assured, while pregnancy is magical and life-changing and a total miracle, it’s also pretty freaky when you consider all the facts. 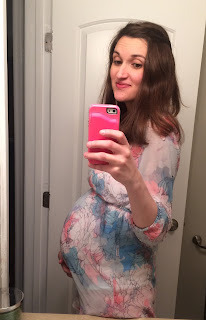 This was my 28-week bump before things got rough. Look how cute and optimistic I look.